Happy Wednesday, everyone!! Shopbop is having an amazing promo going on now through Saturday. You can get up to 25% off with code GOBIG17 (more details below). Above are a few of my favorites from the sale including a few I already have and love… like these flats, these sunglasses, this swimsuit, and these jeans! 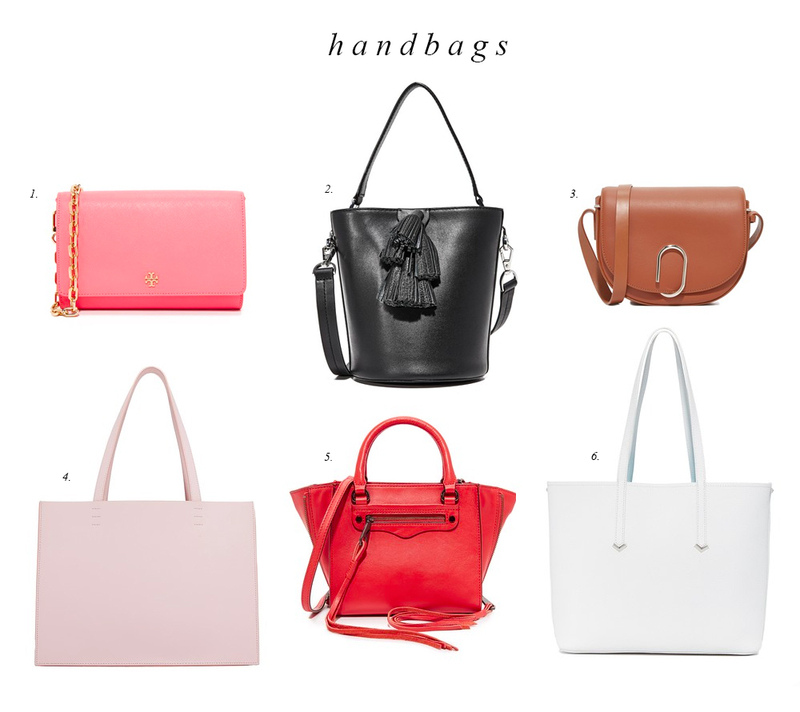 Time to stock up on some super cute pieces for spring ;) Happy Shopping! Thanks for sharing.. but more of an explanation of why you chose or selecting some to explain would be useful for readers. Thanks! Yes, I love all these picks! 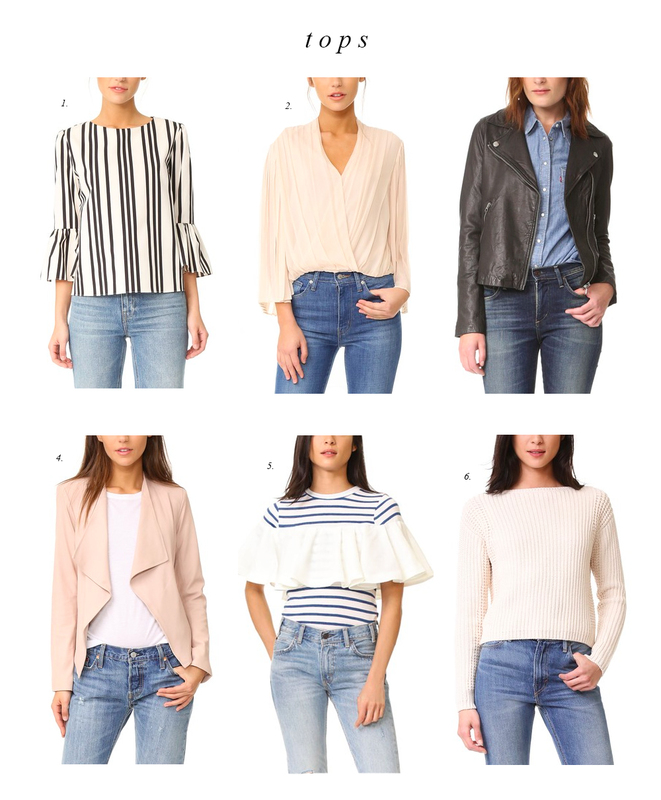 I definitely have my eye on those tops. Love the sale! OMG! So many cute pieces! Love that blue striped top with the ruffle! SO cute! These are all such great picks, Rach! I haven’t yet purchased anything from the sale, I’m trying to narrow it down and behave, especially since we’re expecting and have been prepping for her nursery, but I must say, I do need a new bag ;) Thanks for sharing and I hope you’re having the best week so far! Love that Kai swimsuit! I’m having such a hard time deciding what I want from the sale!! So much great stuff! Love the pink scalloped flats, the beach towel, and the blush pink tote bag! Such cute picks! Such great picks! I’ve got my eye on a few pieces. I love the top that is number 5!!! So cute with the ruffle details! Such perfect pics! By the way I totally laughed yesterday when you captioned about leaving the tag on your shirt – that has TOTALLY happened to me multiple times! Like literally… all the time. I think leaving the tag on makes it feel newer for longer, so I think deep down I leave it on to keep that feeling haha. I feel better knowing I’m not the only one!! I usually forget to take them off of my purses too and find the ripped off tag at the bottom of my bag months later!! haha That’s totally a good way to think about it! Great finds! I love the swimsuits! 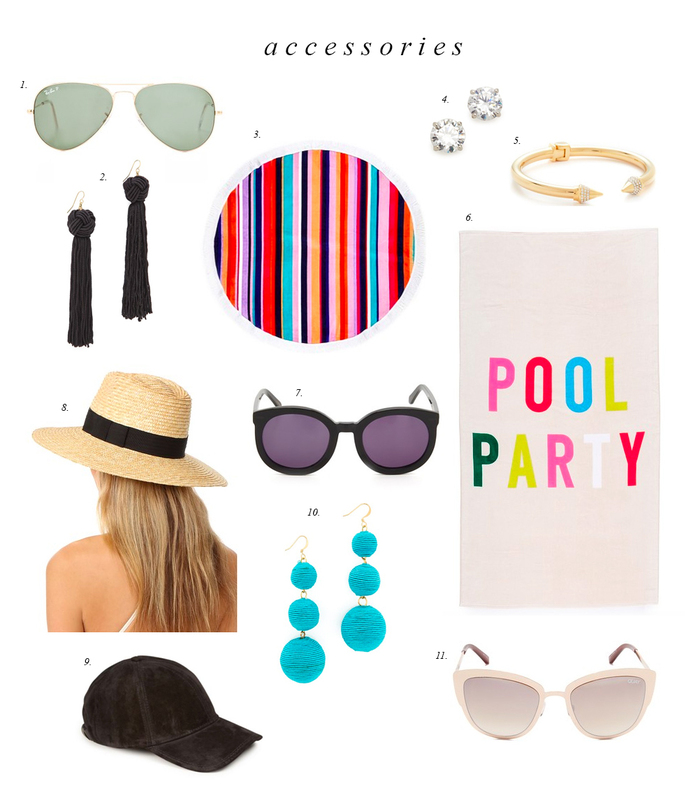 The Shopbop sale has so many goodies this time!! I’m obsessed! Me too! I’m always such a sucker for a good sale! Those Paige Jeans are going to be mine! 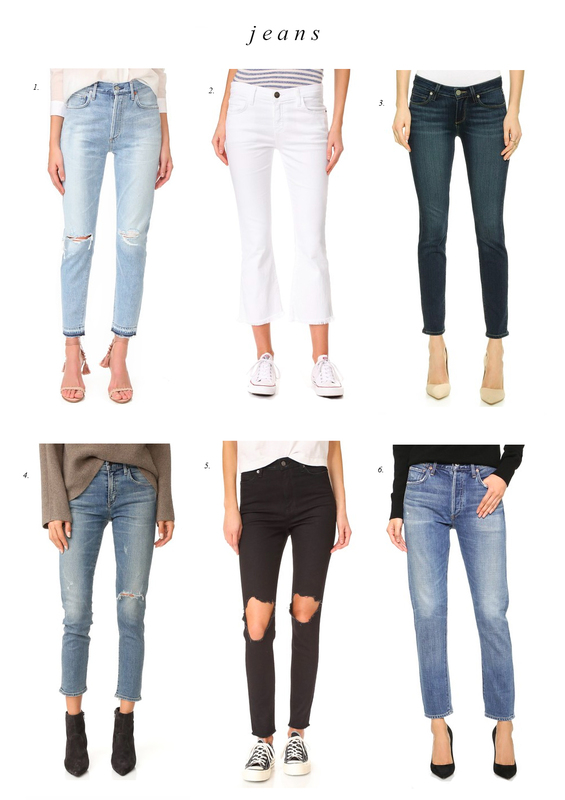 I’m so obsessed with Paige jeans; never felt softer denim!! cute selection :) thanks for sharing!! Rachel your Kitchen reveal is amaze!!! I’m in love with everything!! Thanks for sharing the Blush Booties too I just purchased them and can’t wait to wear them!! Oh yay!! I hope you love them as much as I do! You would think they were slippers with how much I’ve worn them!